I have spent a lot of time thinking about the idea of scarcity and worrying if “it will all fall apart.” One of my daughters has a lot going on in her life right now; exciting, new and scary things. Sometimes it’s so much that I find myself questioning the outcome and the uncertainty of her path. In the simplest terms it becomes a question of embracing scarcity or joy. Then sometimes joy and scarcity arrive together. This conversation made me think about a tragedy that occurred a few weeks. As many of you heard on the news, two young ski racers, ages 19 and 20, lost their lives to an avalanche while free skiing in Austria. I didn’t know these young men although it’s possible that we have been on the same mountain at the same time, as my aforementioned daughter was a competitive ski racer for years. We have lived in that world and know a lot of young people the same ages as these two young men. The youngest man, Bryce Astle had just been asked to go on this trip to Austria and ski with the US Developmental Ski Team. I have been thinking about the joy and excitement of his family and friends because we know so many who have the same aspirations. Being on the US Ski Team is what all of these young skiers are working toward. One week they were celebrating his accomplishments and the next week mourning his loss. As a parent or family member how do you reconcile so much joy with this incredible sorrow? 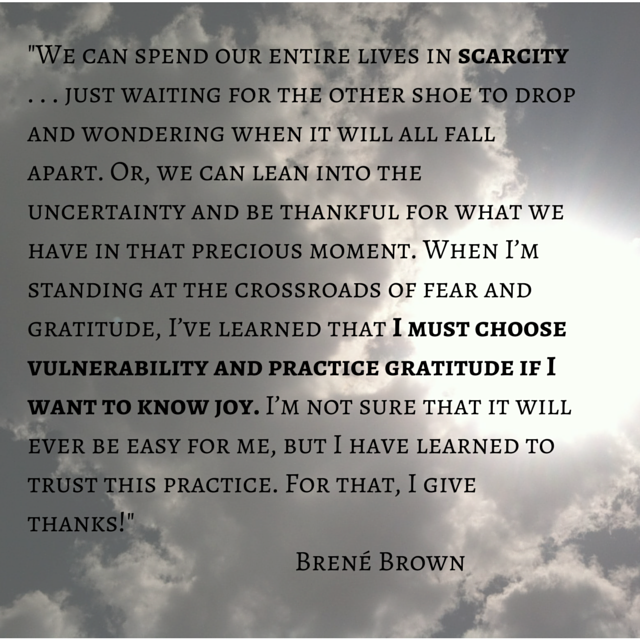 So, I am choosing to live authentically, practice gratitude and live in the moment. I am not going to stand on the outside watching. I am going to get in line and ride the roller coaster called life and take it ALL in. Tragic story about the loss of those young men and I can imagine how that resonates knowing your daughter was in that same place at another time. Thank God for spared lives and more chances. Thanks for your comment RunWright. It is so tragic and I think when these things happen we take a step back, Thank God and appreciate all that we have.